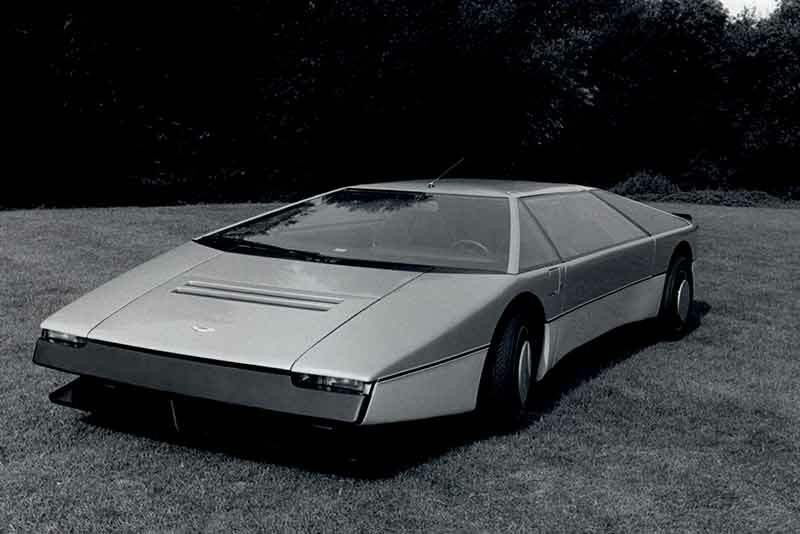 Unveiled in 1980, The Aston Martin Bulldog was a mid-engined super car intended as a ultra-limited 25 car production run, a design ‘statement of intent’ to teleport Aston into the future. Those angular lines were the work of William Towns, still fresh from designing the equally controversial Lagonda Saloon. He obviously still had some wedge left in his system, but even amongst great seventies super car wedges like the BMW M1 and Lamborghini Countach, the Aston Martin Bulldog must surely go down as one of the ultimate all-time wedge designs. The car was named after the Scottish Aviation Bulldog aeroplane flown by then Managing Director of AML but within the Aston Martin factory the car was apparently known by the code name K-9, after Dr. Who’s robotic dog. At a height of just 110cm (43inches), you climbed down through the power-operated gulling doors to find an interior just as forward-looking. The cutting-edge LED dashboard taken from the Lagonda saloon, while a rear mounted TV screen, showed the view behind and also kept the A pillars perfectly straight and free from old-fashioned, 20th century wing mirrors. There were some genuinely clever touches. The headlights were centrally-mounted and hidden away. Those finned alloy wheels may perfectly compliment the cars sci-fi look but also cleverly directed cold air to the brakes to help keep them cool at high speeds. Which neatly brings us to performance. Mounted at the back of what is (to date) Aston Martin’s only mid-engined road car, is a 5.3 litre, twin-turbo version of Aston’s Trusty V8. Pumping out 650bhp, the Bulldog boasted a theoretical top speed of 237mph but managed ‘only’ 191mph in testing at MIRA (still hugely impressive in 1980). Despite the potential of limited production the Bulldog was never to be. Victor Gauntlett took the helm of Aston Martin in 1981 and was more concerned with returning health to the balance sheet than a low-volume super car project. The one and only Aston Martin Bulldog was sold off for an undisclosed amount, rumoured to be in excess of £100,000. Which a bit of a shame as ten years later Ferrari’s F40 would have broken the 200mph barrier, with a whole host of super cars from Bugatti, McLaren, Lamborghini and Jaguar all following suit to hit the double-ton soon after. 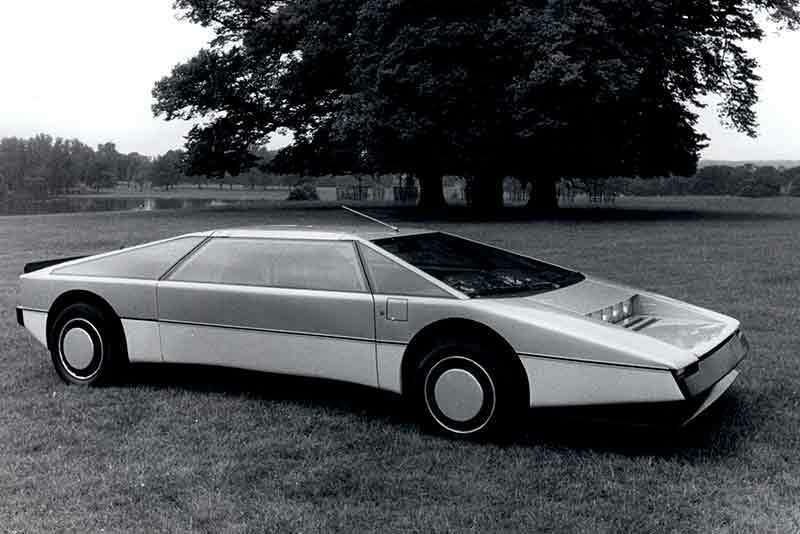 So the Bulldog was ahead of the game, in another time, or dimension, this futuristic Aston could have got there first but instead remains a fascinating glimpse of just what could have been and thirty years on, Aston Martin’s most outlandish creation.